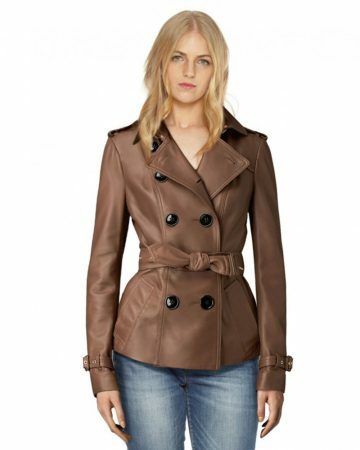 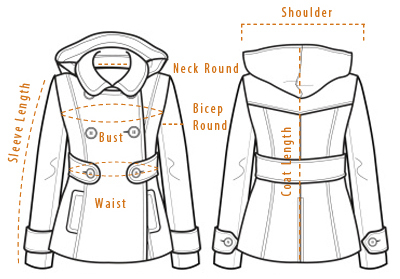 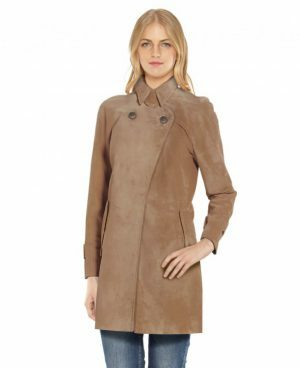 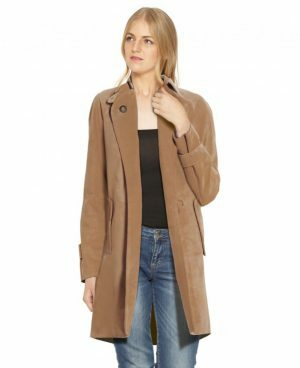 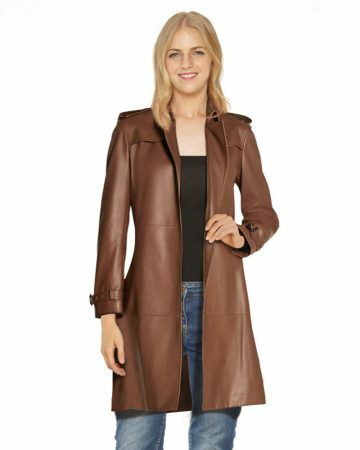 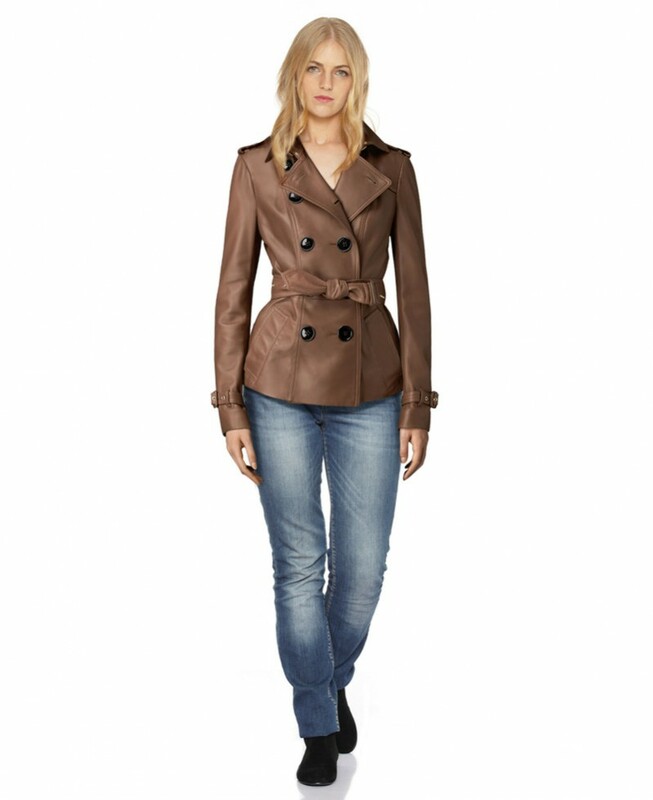 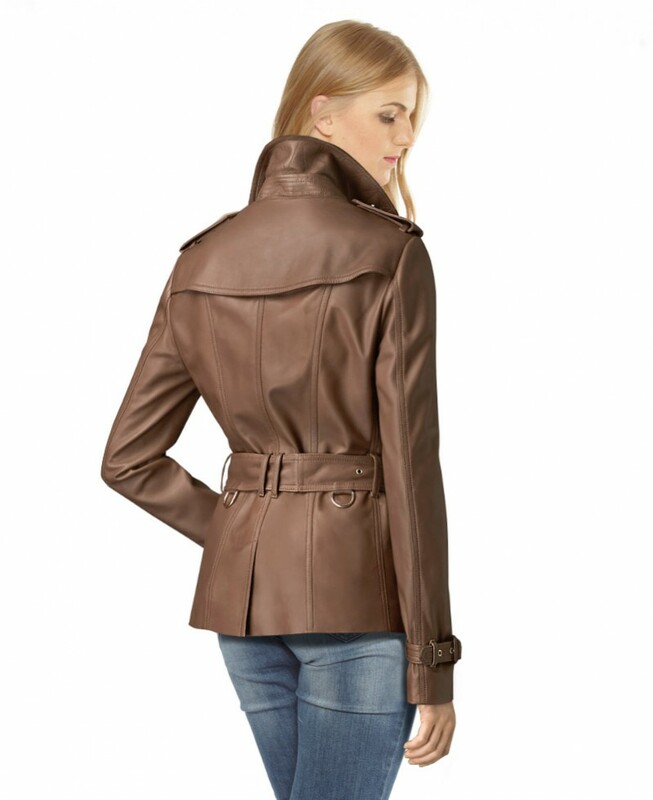 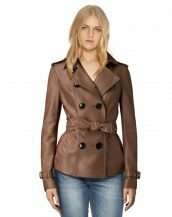 LeatherRight’s short leather trench coat style jacket is simply awesome for those ladies who want to look elegant and feel comfortable. 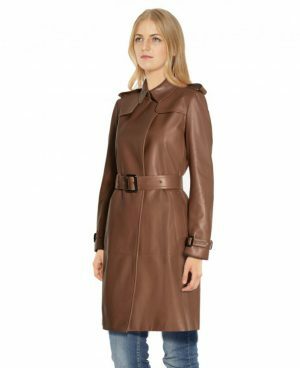 Hand stitched in the finest quality of lambskin leather, this camel piece has shoulder epaulettes, notched lapel collar and standard D-ring knotted waist belt with adjustable buckle tabs at the cuffs. 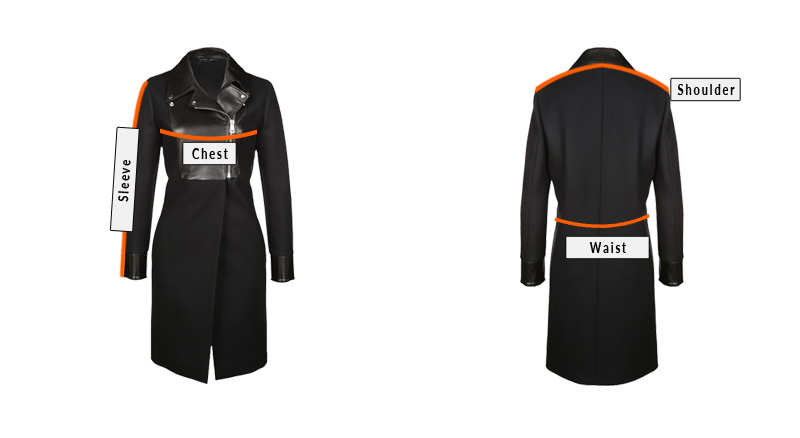 While, its backside is detailed with a gun flap and single vent for added practicality.